The skin care ingredients used in all our personal-care products should always be questioned the same way you look at food labels today! It’s always better to be safe than sorry –after all, it’s the gradual, repeated, and cumulative effects of bad chemicals that we need to be concerned with. In order to be able to make smart choices it’s important to recognize the hazard level of a product. Reading labels and educating yourself with ingredients will give you a good starting point to eliminate harmful products. When you start to recognize parabens, fragrances, phthalates, sulfates, and other known unsafe ingredients it will help you weed out the nasties and buy safer formulas. PARABENS- Common preservative. Avoid this chemical responsible for disrupting the endocrine system and unbalancing crucial hormones. Look for labels with Butylparaben, Methylparaben,Propylparaben,and Ethylparaben. There are hundreds of varieties of these harsh synthetic ingredients used mainly for the high foaming ability. The most common ones are Sodium lauryl sulfate (SLS) and Sodium laureth sulfate (SLES). FRAGRANCES-( parfum)( Phthalates, Petrochemicals, Benzene, Toluene, Methanol …).Mixtures used to produce a pleasant scent. Irritants linked to allergies and asthma, along with a multitude of other problems. (ETHANOLAMINES) DEA- Diethanolamine ,TEA-Triethanolamine, & MEA-Monoethanolamine is found in many personal care and cosmetic products. They are used as an emulsifier and also used to stabilize the PH of a product. They are listed as skin and eye irritants and shown to cause liver cancers and a danger to precancerous changes in skin and thyroid. Why quality matters in Anti aging Products? The quality of the ingredients used in the formulas will depend largely on the results you receive from a product, so it’s important to also keep a check on the “good guys” in the ingredient label. A number of factors determine whether a topical rejuvenation product has an anti aging effect. Proven ingredients used in professional products are vital to anti aging success. The key to a successful skincare formula has to be able to penetrate in, absorb, and stay active. Antioxidant molecules have great penetrating properties, that don’t just sit on top of the skin, to help prevent damage to cells. They neutralize free radicals to prevent tissue damage. Antioxidants also have the ability to treat, help renew and transform your complexion. The best ingredients chosen also need to be at a high concentration level to be of any benefit and to achieve the best possible end result. The best formula also performs a good buddy system and has ingredients known to interact with each other well and enhance treatment activities. Vitamin C, Anti aging vitamins A,E and K, Aloe Vera, Pantheon (Vitamin B-5), Witch hazel, Magnesium Ascorbyl Phosphate,(Vitamin C derivative), Methyl Gluceth (humectant), Algae/Seaweed Extract, Coenzyme Q10, L- Ascorbic Acid, Hyaluronic Acid, Alpha Hydroxy Acids, Peptides, DMAE (dimethylaminoethanol), Squalane, Jojoba oil … This is just a short list of the many safe, yet effective skin care ingredients available. 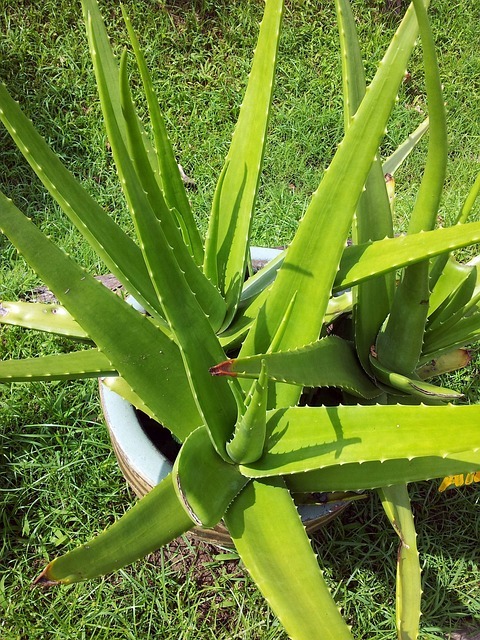 Some popular natural ingredients for skin care include – Olive oil, Aloe-Vera, and Coconut oil. Familiarizing yourself with toxic chemicals and uncovering genuine products that you trust will certainly be well worth it. Find trusted products-top skin care at Bizrate!